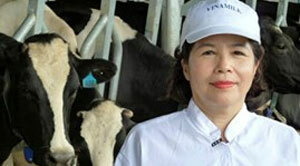 Chairwoman and CEO of Vietnam Dairy Products (Vinamilk) Mai Kieu Lien will receive the Nikkei Asia Prizes for economic and business innovation. Lien pioneered Vietnam's dairy product market and built Vinamilk into a leading force in the domestic industry. 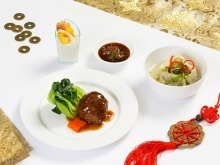 The company has cultivated demand for products that appeal to health-conscious Vietnamese consumers. Now it is also branching out internationally. This year, the Nikkei Asia Prizes recognize two inpiduals and an organization that, through their work in specific fields, benefit the region as a whole. The award ceremony is scheduled to take place in Tokyo on May 20. The prizes were created in 1996 to commemorate the 120th anniversary of Nikkei Inc.'s main Japanese-language newspaper, The Nikkei. They honor contributions to the region in three fields: economic and business innovation; science, technology and environment; and culture and community.